7 May 2014 - Near the top of the world, 140 km off the northeast coast of Siberia lie Wrangel Island and the tiny Herald Island. 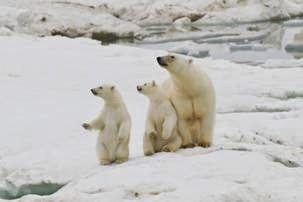 Untouched by glaciers during the last Ice Age and looking much as they did in the Pleistocene epoch when woolly mammoths roamed the land, these islands are today best known for their population of denning polar bears. 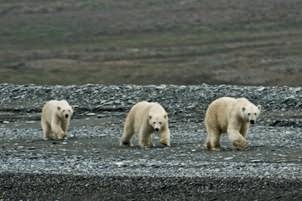 In fact, Wrangel Island is sometimes referred to as the 'Polar Bear Maternity Ward' with an average of between 300-350 maternity dens each year on the island, and even more on Herald Island. More importantly however, these islands are strongholds for arctic biodiversity that is of great significance to the planet. 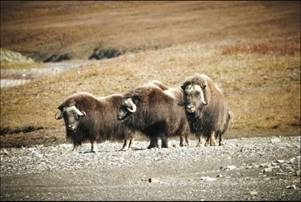 The Soviet Central Government created the Wrangel Island Nature Reserve in 1976 to protect the colonies of snow geese, polar bears, and walrus that flourish here. This UNESCO World Heritage Site is now one of Russia's most treasured wildlife sanctuaries. Only official personnel and invited guests are allowed access to the reserve, protecting the unique and untainted ecosystem. 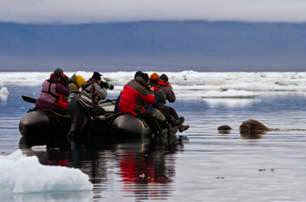 Heritage Expeditions has been running 15 day voyages to Wrangel Island since 2009. 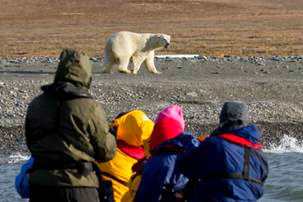 Travel with just 50 other passengers on board the expedition ship the Spirit of Enderby, as well as an experienced and knowledgeable expedition team including rangers from Wrangel Island. 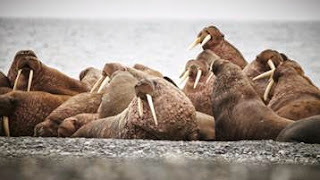 Depart from Anadyr, Russia or choose to join a charter flight from Nome, Alaska to connect with the voyage (additional cost). Berths are still available on Heritage Expeditions departures in August 2014 with itineraries now also confirmed for 2015 as well. Contact info@heritage-expeditions.com for more information including a full voyage itinerary as well as past trip logs and species lists. Berth prices from $10 800 USD pp.